Our customers see 20% growth in sales during their first year, on average. Add Rain, watch your business grow. 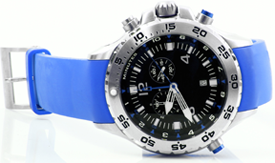 Timely notifications are a powerful tool to get customers coming back. Automatically send class reminders and service reminders to customers. Enter the info once and your POS, website, and mobile site update automatically in real time. Call (801) 841-4012 to speak with one of our POS Specialists. Our intuitive, integrated system gives you more time to do what you want. Real-Time Integration. Keep things in sync with our system. 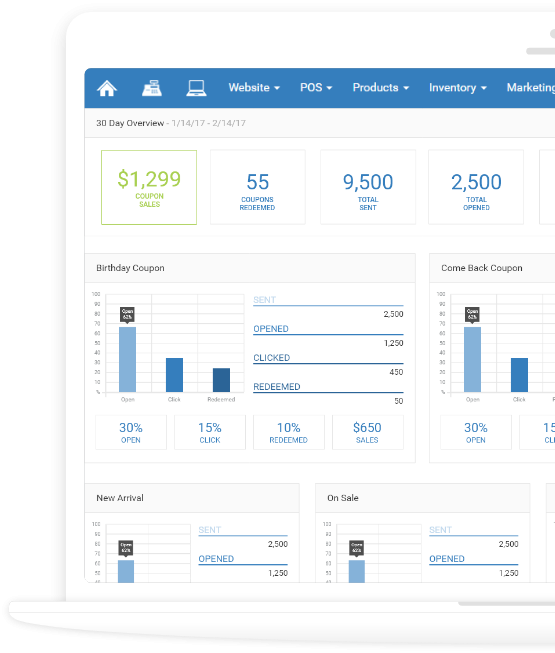 Each time you add new products or make a sale, your in store and online inventory update in real time. Easy-to-Use Interface. Spend less time learning and training, and more time selling and relaxing with our intuitive system. Mobile Capabilities. Never miss a sale. Our web-based POS is ready to go, wherever you go. All you need is your tablet or other mobile device and access to the net. Automatic Backups. Stop waiting around for updates or backups. You enter it; we save it. All of your product info, all of your images, all of your text, and whatever else you put on your site is automatically saved to the cloud. Our point of sale keeps your products in order, and your customers loyal. Customer Accounts. Make customers feel at home by saving their relevant information along with past purchases they’ve made and rewards points they’ve earned. 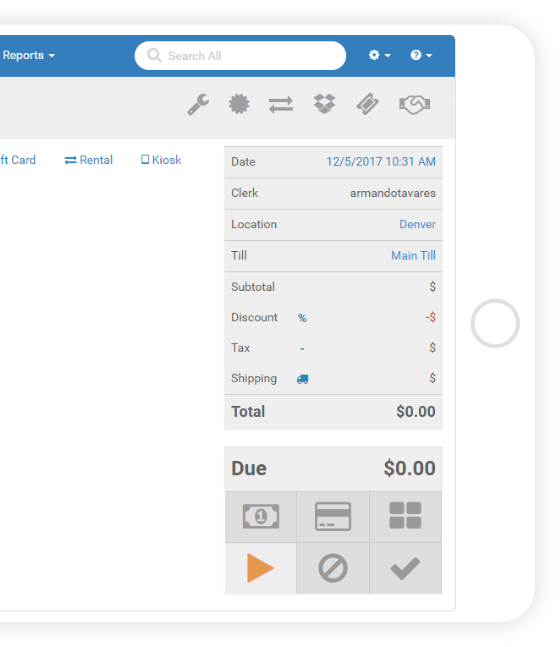 Quickbooks Integration. Run a tight ship; import the information you need from your POS right into Quickbooks. Inventory Control. Stay on top of your numbers without getting a headache. 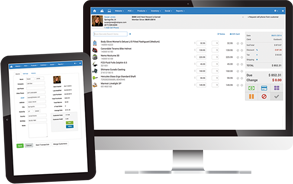 Run reports, populate purchase orders, print barcodes, and more. Repair Tracking System. 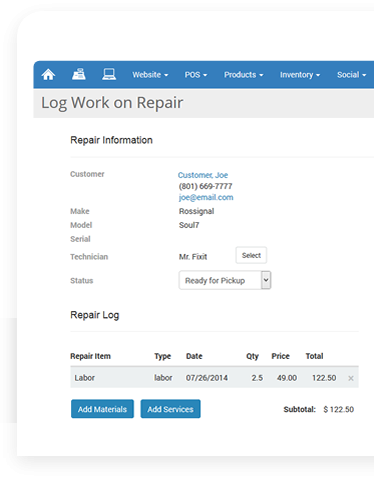 Impress customers by efficiently tracking ski and snowboard base repairs, binding adjustments, and other services your shop offers. Our POS works with our professional websites seamlessly in real time. 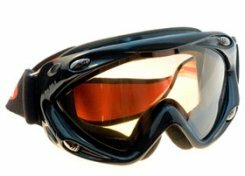 Professional Online Ski and Snowboard Shop. Gain customers trust with real-time inventory. Choose from PayPal or Authorize.net to help your online customers shop unlimited ski and snowboard products safely. Content Management System. 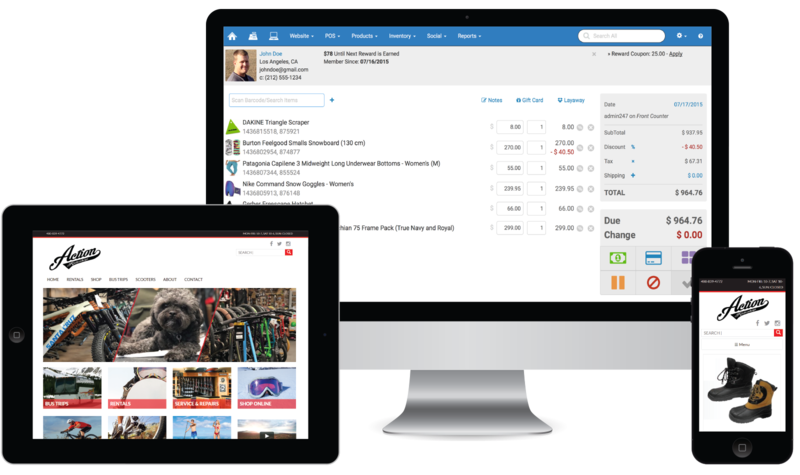 Add products, images, videos, slideshows, text and more to your website whenever you want. Add new products at 3 AM if you want to. We won’t stop you. Skiing & Snowboarding Lessons. Make life better and easier for customers and teachers with our hassle free class sign-up. Customers can reserve seats in store or online. Teachers can print a roster. You can track all running classes. It’s a win-win-win. Snow Sport Event Calendar. 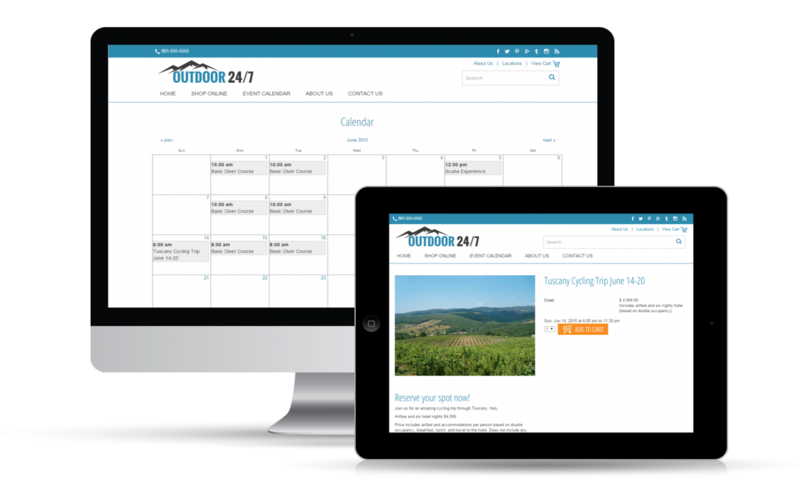 Keep customers in the loop about the lessons, day trips and sales you offer with our online calendar. Template and Custom Design Options. Look professional with one of our templates designed specifically for ski and snowboard shops. Want a custom design for your shop? You got it. And it won't cost you an arm and a leg either. After all, you need those.  "Rain's website and POS system is very easy to set up and use. I especially like that it is always evolving, and you are adding improvements and additions...many times based on suggestions customers have made." "You guys rock! We love our new POS program, and when we do have a problem, you attend to it ASAP. In this world there are people who tell you they'll get back to you, but don't. Not with Rain. We appreciate your integrity, dedication and friendliness to us. We don't get to tell you this often, but THANK YOU for such a user friendly program." "I love that Rain is a complete package so I only have to deal with one company for website, POS, etc. I also LOVE that it is web based so I can check things in the POS from wherever I am. I love that I can get a hold of tech support without long waits and they are all patient and kind."